The element búc seems to be related to the dialect word buc, meaning 'point, summit' found in Southern France in mountain names, e.g. Buc Pointu. Walks: for a walk taking in Búcán and Binn Bhán (Maumturkmore), see Paddy Dillon, Connemara, 92-97. 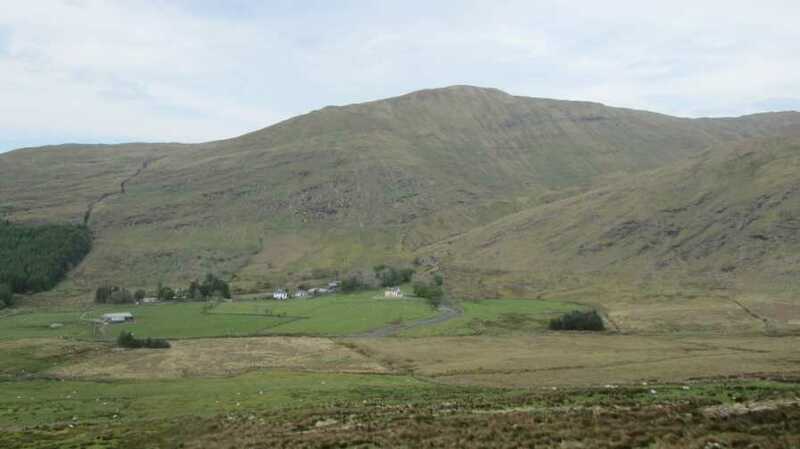 Búcán is the 418th highest place in Ireland. 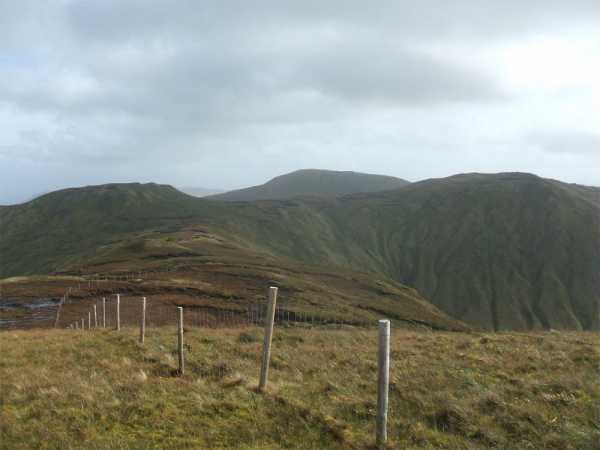 Búcán is the most northerly summit and also the most westerly in the Maamturks area. Búcán is a little treat on the north end of the Maumturks. It can be climbed on its own for its views or perhaps as part of longer ridge walk including Leenane Hill and Meall Cheo (a local name for the last peak of the Maamturks walk). You can reach it from the Western Way. You can park just inside the forest that fills the valley of the Bunowen river. (The forest at the bottom left of the picture.) 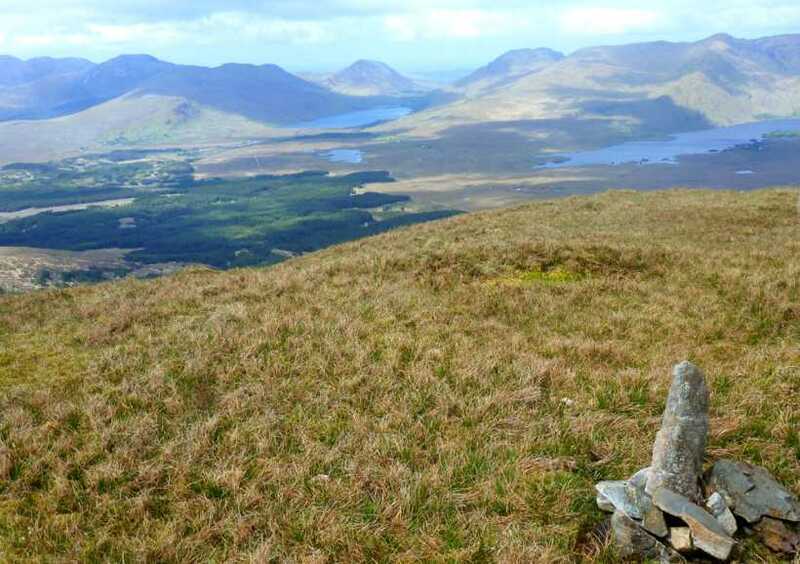 The way up is easy which leads to the treat, a great view of the west of the Connemara and South Mayo Highlands. The photo although taken on an overcast day shows some of the extent of the view. Picture from David-Guenot : Bucan from the SW.
Picture: Bucan from the SW.
A fine summit with some steep slopes.